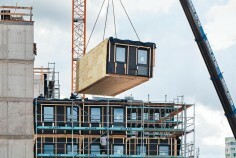 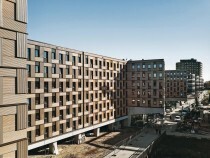 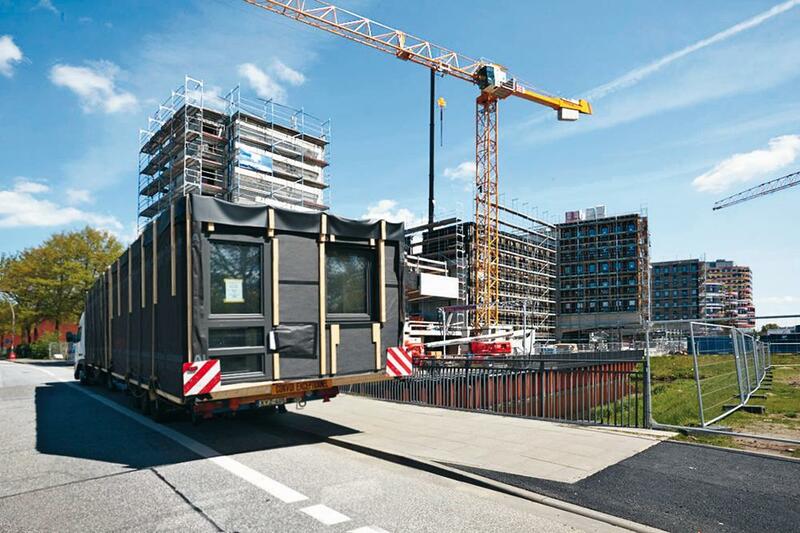 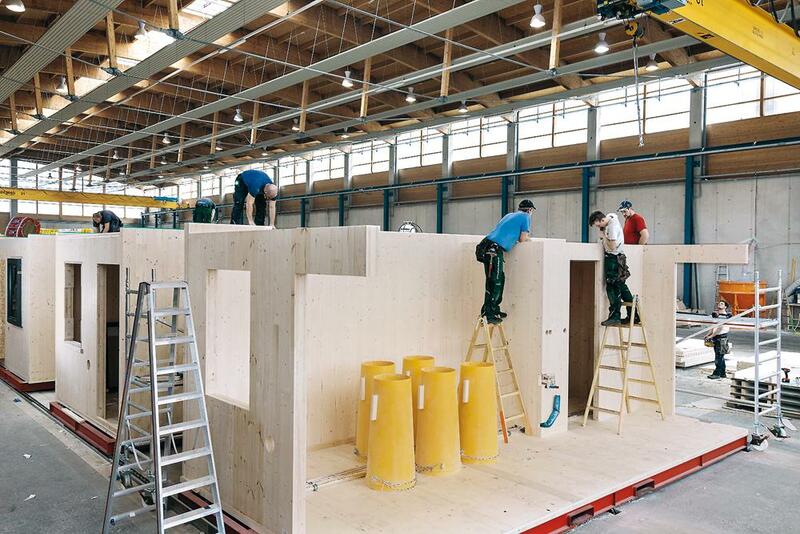 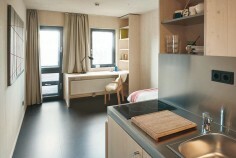 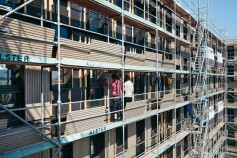 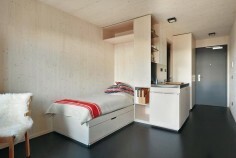 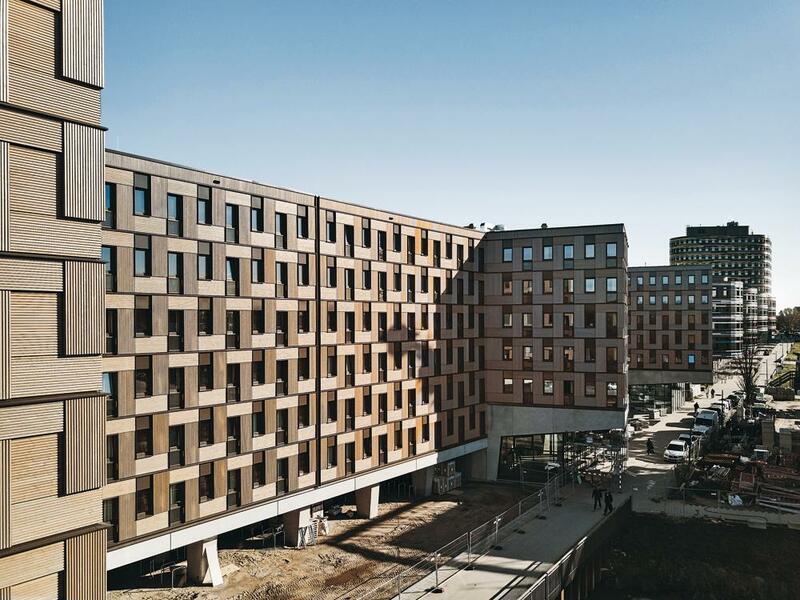 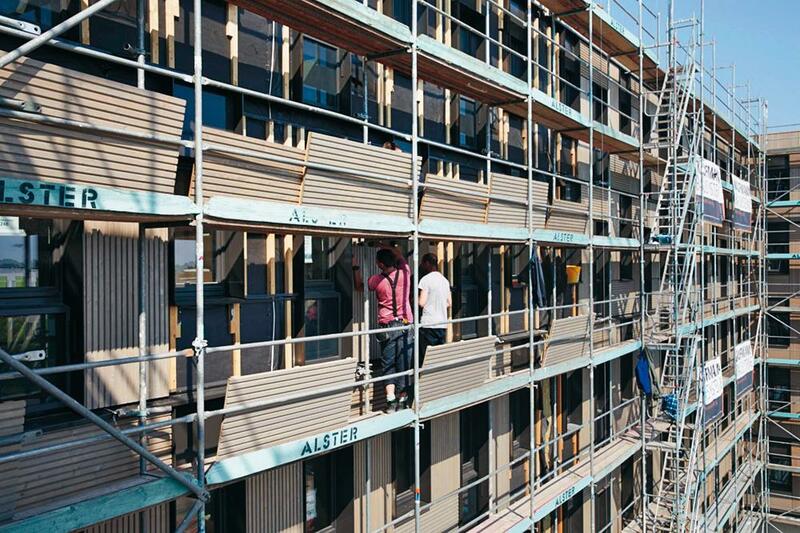 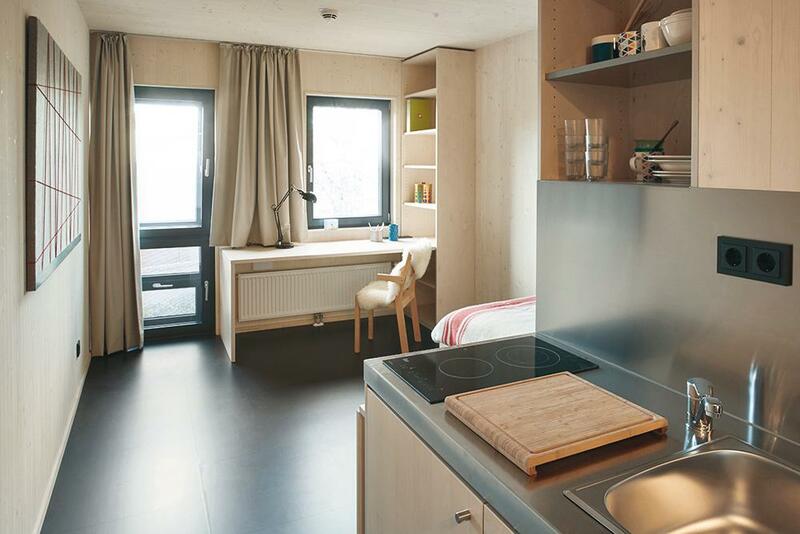 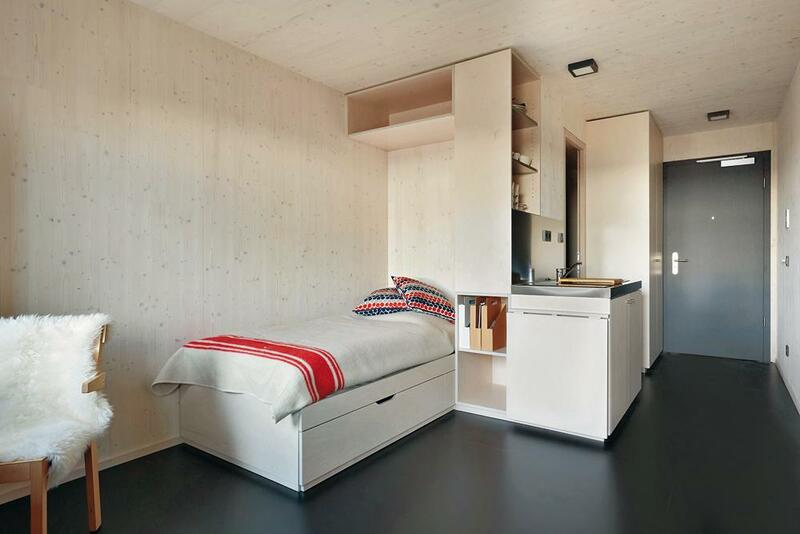 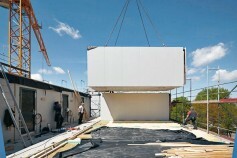 The flats in this student hall of residence in Hamburg are prefabricated timber modules. 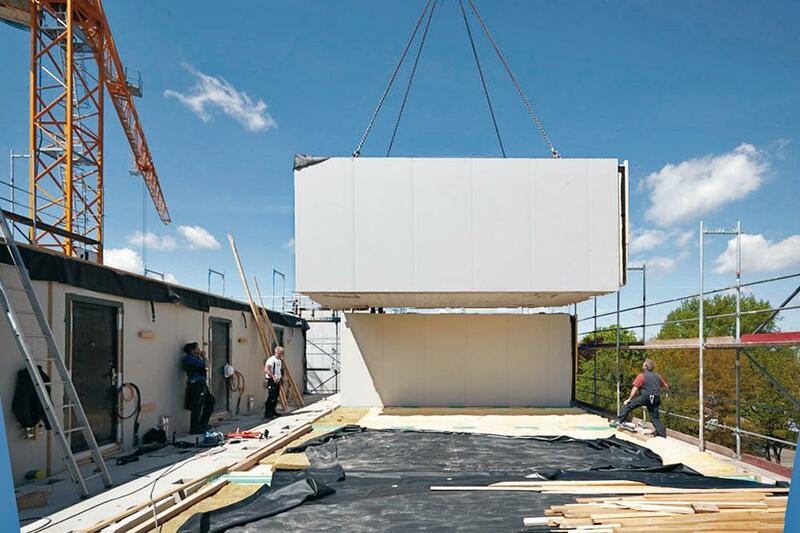 They were the outcome of a close collaboration between Sauerbruch Hutton Architects, the client and the manufacturer of the modules. 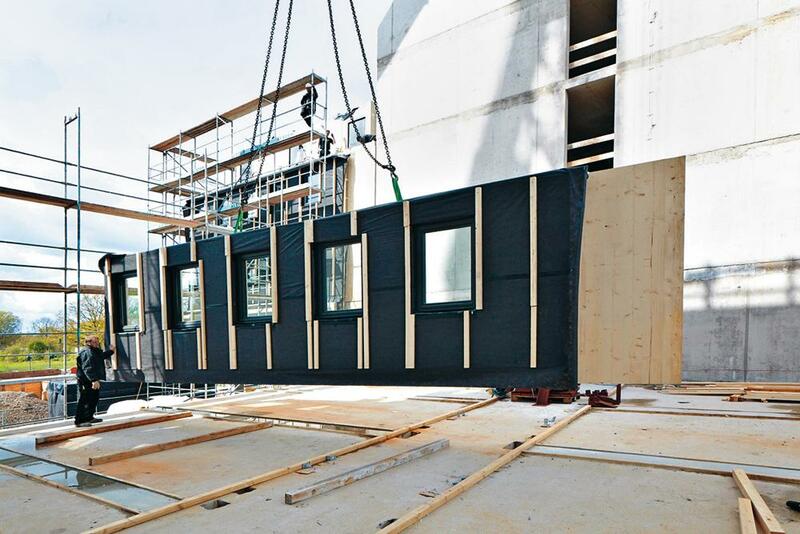 The use of a limited number of details and only two module types facilitated an efficient, economical development.